This filter uses a newly developed High-Rate Transparency film that passes more visible light through the filter while still filtering the same amount of polarized light. The HOYA HRT circular polarizer filter transmits as much as 25% more light through the polarizing film giving the photographer about 1/3 stop more light than a standard circular polarizer. This new polarizing film is also used in the latest HD LCD TVs. 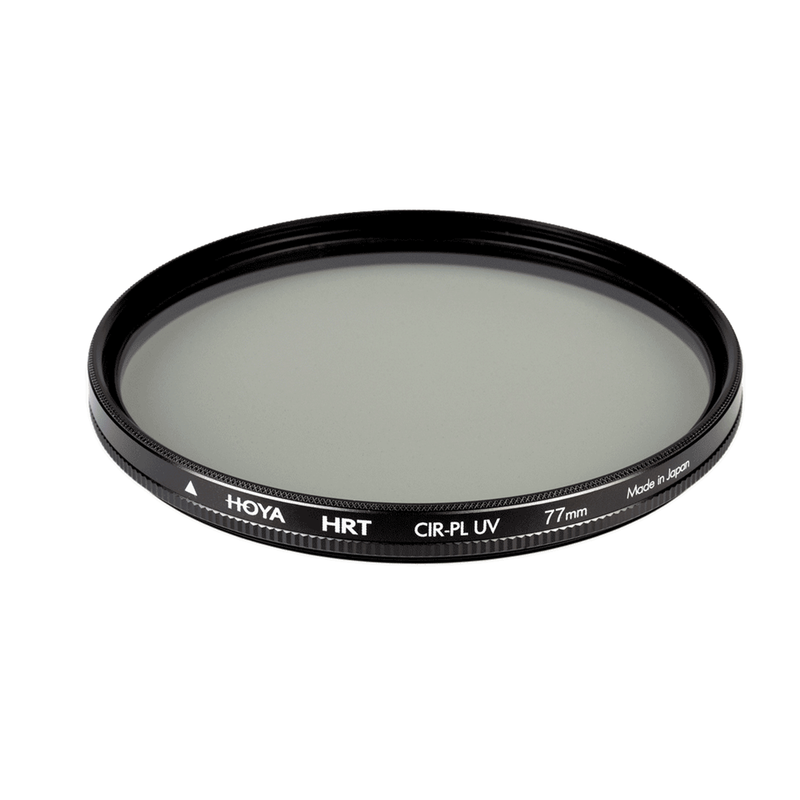 The glass of the HOYA HRT filter also has UV absorbing properties making the HRT a combination UV/circular polarizing filter. The most common use for a circular polarizer filter is to darken bright blue skies in outdoor photography, but they also can reduce or eliminate reflections from non-metallic surfaces such as glass and water. By rotating the outer ring of the filter the change of effect can be seen by looking though the filter or through the viewfinder if it is mounted on a camera.